When you’re pitching to investors and generally when you’re looking for financing, you need to have a full financial model with all the necessities: some of which being Cash Flows, ROI, Sensitivity Analysis and pro-forma Income and Balance Statements. This is key, as investors are looking to see the viability of your business and potential returns if they do decide to invest. The two main issues are hockey stick growth and top-down research. You need to be able to back up your numbers! I know you’re thinking: “Obviously!” But, we see the same old story over and over again – unrealistic sales models that get torn to pieces when you’re at the front of a room of 20 investors. Needless to say, this is not good for your prospects. 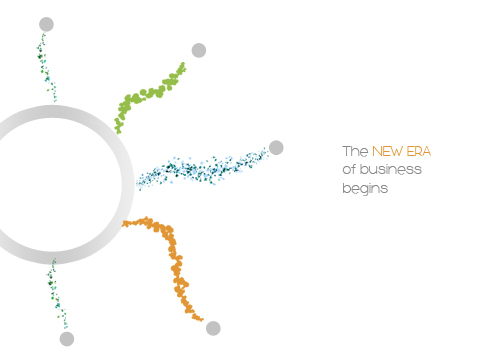 This is an example of how most entrepreneurs envision their sales, whatever their business model may be. This is not convincing. 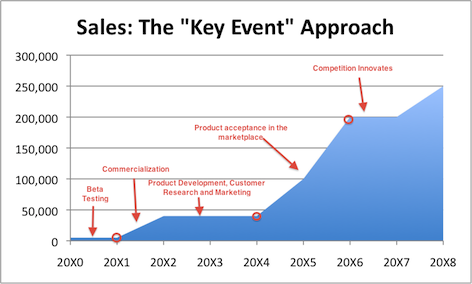 More realistically, you’re going to have key events that define the stage at which your sales figures will grow. Not only should you identify these events to investors, but you should be able to explain your reasoning with solid research (we’ll address this in a bit). Of course, these are just examples, but I think you get the idea. The second issue, which really goes hand-in-hand with the first issue, is the usage of top-down research when making sales projections. While this may not kill your pitch (because almost everyone does it), it’s not going to be effective, it’s not accurate and you will get called on it. So the question is, how do we accurately forecast demand? Not necessarily in that order. This is an example – the process differs in each particular case. Going through a formula like this will at least impress your potential investors and show that you’re a thoughtful and industrious business person. It will also provide you with first hand insight into your market and lead you to information that will be incredibly useful. 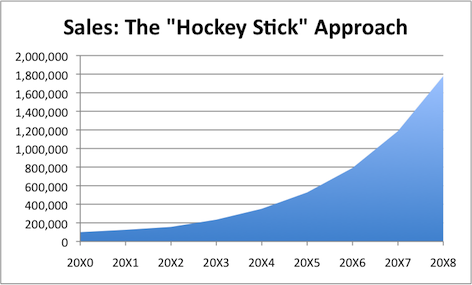 It will indeed provide you with a more accurate sales model than the ol’ “hockey stick approach”. Stay tuned: there are still more mistakes that investors see over, and over, and over again – mistakes that you can use to make your investment opportunity stand out against the others.